I picked up about twenty years ago and made aliyah from Milwaukee. Fast forward to August 29 of this year, when my husband and I picked up ourselves, our six children and our lots and lots of stuff and moved from our two-floor home in a larger, established community to a mobile home a third the size in Migron. We moved largely because I wanted my children to learn what I learned growing up in Milwaukee. I want them to experience, as I did, that having the opportunity as well as the responsibility to take a hand in building a community is absolutely huge. 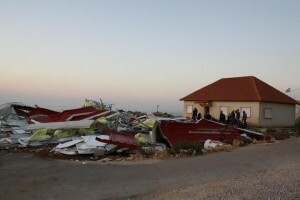 Migron is located about twelve minutes north of Jerusalem and is currently comprised of 48 families. The adults here work mostly but not exclusively in fields concerned with helping others, such as social work, various therapies, teachers, special education, elder care and guidance counseling. The smaller children attend daycare and kindergarten here, and the older kids are bussed to top-quality schools in nearby communities. This community, in some circles titled a “settlement,” was established in 1999 as the result of an archaeological expedition conducted here that showed signs of a Jewish past. It didn’t take long after that for the first few dozen idealistic and pioneering families to move in. All residents were and continue to be housed in government-provided mobile homes. A synagogue and mikveh were built, as well as a horseback riding therapy clinic, petting zoo, playgrounds, a daycare center, kindergartens and eventually eight privately built homes. Nearly right away, the government brought in electricity, telephone service, and running water. And then, in 2006, after seven years of hard work establishing their community by residents here, a legal suit was suddenly filed at the Israeli Supreme Court, claiming that the land Migron was built upon was actually under the private ownership of a number of local Arabs. The Binyamin region, where the Biblical tribe of Benjamin settled, is a collection of mountains. There is no flatland between these mountains. Migron’s rapid development would have been clearly visible to any complainant for seven years preceding this suit. What’s more, the plaintiff was not listed as the Arab “owners,” but rather as Peace Now on the complainants’ behalf. From 2006 through 2011, great legal and legislative efforts were made to get things back on track, in order for Migron to be allowed to grow and flourish. During those years, eight permanent houses were built by growing families, children were born and grew and new families moved in. Even with the heavy, daunting question mark hanging on the horizon, Migron is an attractive community. The 360 degree views, where one can see Jordan, the Dead Sea, Jerusalem, Maaleh Adumim, the Judean Desert, as well as many points of Binyamin and into the Shomron (Samaria) are absolutely breathtaking. The crime rate is very near zero percent. The children are bright and polite and parents are involved. The locally-available schools are excellent. People help one another… in so many ways, it’s such an ideal place to live. When we moved here we were also very impressed to see that the residents here really do dedicate their entire lives to the Jewish Nation and Land of Israel. All men here have served in the Israeli military and continue to serve in the reserves. Most women here have spent at least a year of their lives entirely devoted to performing volunteer national service at various national institutions. And this dedication, I see, continues for Migron’s residents for their entire lives. 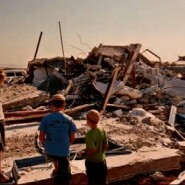 In 2011, the houses of three amazing, incredible families were destroyed. It is important to note that these families never received any orders of destruction as is legally required before destroying a structure. 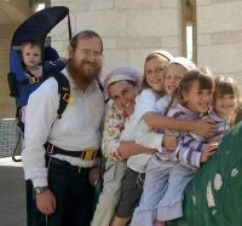 Tami and Uri Gutman and their five children ages 2-10: Shlomo, Yonatan, Tal, Hadas and Yishai. Tami works with children at Aleh, where some of Israel’s most severally disabled children live. Uri teaches middle school in the Noam school system. Ruchamah and Chaimi Teitelbaum and their three children ages 3-7: Ori, Oz and Hadar. Ruchamah is a guidance counselor in Eli, a larger community farther north, and Chaimi both learns in kollel and spends many hours advocating for Migron’s case in the Knesset and media. Shalom and Avital Gefen and their four children ages 3 months – 8 years: Etai Yonatan, Hallel Nechamah, Elroi, and Matan Baruch. Shalom was recently demoted by the Israeli police department. He had worked for many years as a top notch sapper, defusing explosives located in Arab villages, in wait for use in terror attacks in large, Israeli cities. Having determined that the Gefens live in an “illegal area,” Shalom was removed from this force and put in a minor police position. In the mean time, the sapper unit is down one very capable employee. Avital is a certified accountant studying for her Masters Degree. Their youngest son had his brit milah in his home only about a week prior to its destruction. On the horrific night of September 5th, with absolutely no warning, riot troops dressed in black leaped from behind the boulders serving as a back fence for these three families’ homes and delivered the news that they were there to destroy them. The soldiers came with neither documentation nor court orders and weren’t interested in seeing the deeds presented by the families to the land on which the houses were built. On that night, eleven children were torn out of their beds in their pajamas and taken out into the cold night, never to see their bedrooms, or many of their precious belongings, ever again. Within hours, in front of both adults and children that have spent a significant portion of their lives building up this fine community, the Teitelbaum, Gutman and Gefen homes were completely destroyed. Two of these three homes were built in a fashion so that, in theory, they could have actually been picked up and moved to different plots of land if necessary. But in the end, that wasn’t wasn’t necessary, because nobody was willing to hear of it, and now there’s nothing left of the places those three families called home. As much as the rest of us Migron families managed to pack and haul away is just about all that remained intact from the homes of these three families. Massive crews of Arabs were brought in by the forces, apparently to help pack. What they did in reality was throw personal belongings: children’s toys, clothing, religious items, furniture and appliances out of the homes with force, thereby destroying most of them. After about an hour and a half of sleep, the community, emotionally bleeding and battered, arose to a new day. Nobody made it to work that day. The kindergartens operated fully, with a psychological staff that worked with the children sporadically for the following two weeks, but the older children stayed home. And we all worked together to try to cope with the damage done. And from surrounding communities, professionals arrived. A carpenter voluntarily put all the families’ furniture back together. A gardener quietly planted flowers in the new plots to make the residents feel more at home. After hours of hard work, the day was capped off by a meeting of all residents in the synagogue, where we were heard encouraging words by leading rabbis, activists and others. Our children were given geraniums to plant, to sow new hope, from other children in Amona, a nearby community that lost eight houses a few years ago. And so the saga continues, and we’ve been joined in this struggle to save our home by nearby Givat Asaf, Givat HaUlpanah and again, Amonah – populated by dozens of Jewish families on land that can be proven legally acquired if anyone would take the time to look. The Arab complainants dropped their case against Migron in the Supreme Court in early November 2011, as they simply could not come up with any evidence that this land is theirs. Apparently, the withdrawal of their initial, baseless complaint has made no difference in the previous ruling, which declared that because Migron is built on so-called “private land” it will be destroyed by March, 2012. March… Purim… this year may we see the tables turn as they did so many years ago. Please join us in supporting Migron. You may join us in the “Migron (English)” Facebook group, or check out our site, soon to be translated to English, at www.migron.net. If you’re in Israel, I’d be proud to take you on a tour of this very special place. My email is aviela.deitch @ gmail.com. This is outrageous and heartbreaking. Why should the government of Jews be so cruel and heartless to fellow Yidden? I feel so helpless. This is a repeat of the outrage of Gush Katif and Amona. I didn’t think it was possible, but I believe that this is even worse than Gush Katif: These families had no warning, no time, no offer of compensation, and no help! ARABS threw out their things!!!!!! This shocked me more than anything. To know that it was carried out at all is a horror. TO think that it was done in cahoots with the Arabs is simply devastating. If one can search for the good in such a situation, at least we merited to read about the amazing achdut and love shown to them by their surrounding fellow Jews who probably saved their souls that terrible night, and afterward. Yesher Koach to such wonderful and inspiring people. Bless you all that out of such darkness should emerge such light. For anyone that has the opportunity, I’m holding a parlor meeting to inform about the past and current situation in Migron, at the OU Israel Center, Tuesday, February 14 at 8:00pm. I will bring a PowerPoint presentation, hold a questions-and-answers session and send you home with written, factual material. I look forward to seeing you there, Aviela (the author of the article), also a JewishMom! We wish you lots of hatzlacha and we’ll daven for you to be able to keep your land and for the Arabs to stop bothering you. We’re thinking of you – thanks for taking the time to write this up and make the video. It is really inspiring and makes me want to pick up and move there!